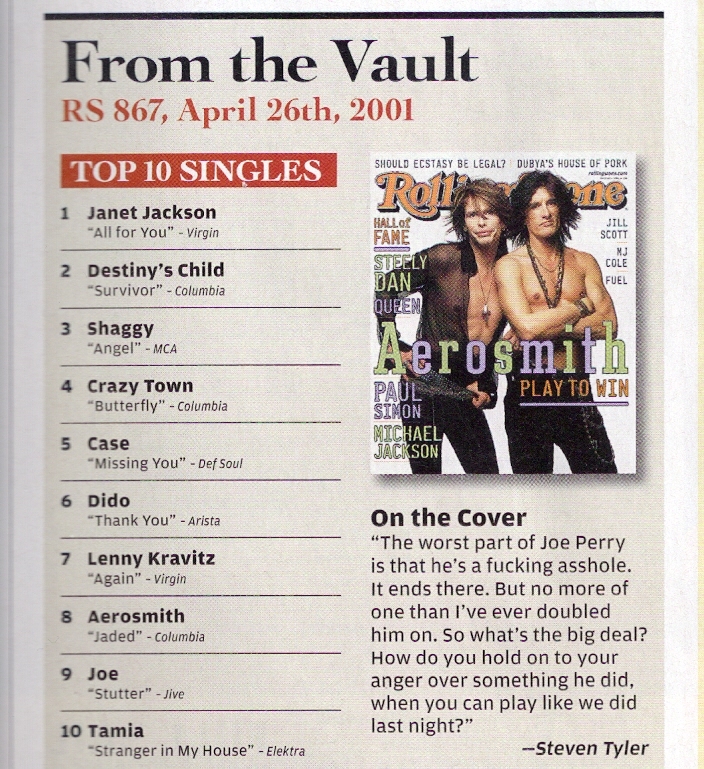 Revisited: RS 867, April 26, 2001 – Top 10 Singles | Do You Hear The Music? A decade ago today, here where the Top 10 songs. I can’t believe this was ten years ago, just look at some of these songs and more, the artists.